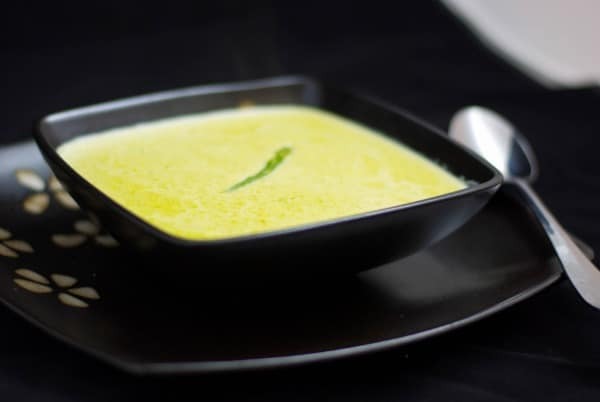 Cream of Asparagus Soup made with fresh green asparagus, milk and vegetable broth is a favorite way to utilize leftovers. I’m not particularly fond of asparagus; however, my husband and oldest daughter love it. 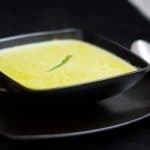 I recently made it for them as a vegetable side dish with one of our dinners, but there was still quite a bit left over so I decided to make this Cream of Asparagus Soup using what I had left. Did you know that asparagus contains folate which is a cancer fighting food? Folate is a B-vitamin that is naturally present in many foods like orange juice, spinach, romaine lettuce, dried beans, peas, peanuts and brussels sprouts. Our bodies need folate to make DNA and other genetic material and is also needed for the body’s cells to divide. So not only do these foods taste good, they’re good for you (but you already knew that, right?). 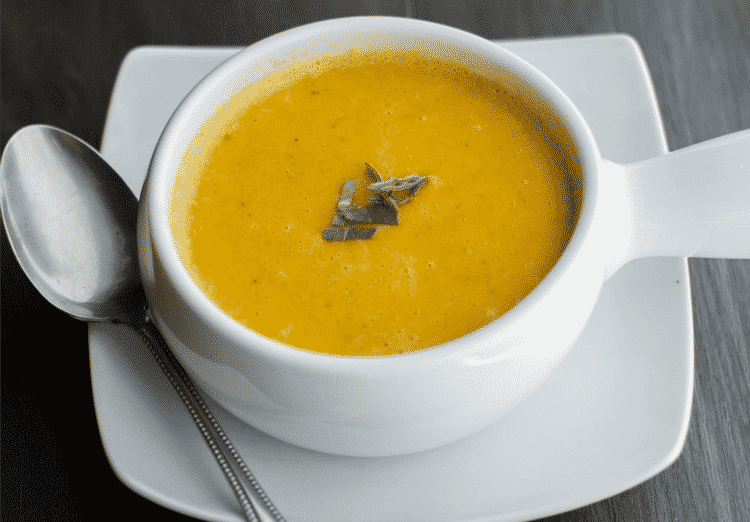 This soup is super easy to make and can be ready in about 30 minutes from start to finish. 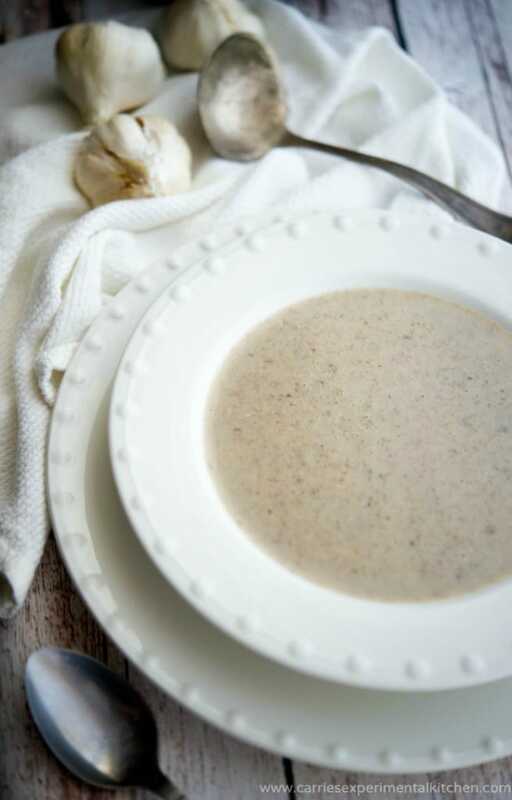 First, you’ll need to gather your ingredients: asparagus, butter, flour, vegetable broth, milk (or heavy cream) salt and pepper. If your asparagus isn’t cooked already, steam it over a double boiler for about 3-5 minutes or until the vegetable turns bright green; then chop it into small pieces. Once you have all of your ingredients, melt the butter in a medium saucepan over medium-high heat; then add flour to form a roux. Next, add your asparagus, vegetable broth and milk. Bring the mixture to a boil; then reduce the heat and allow to simmer for 15-20 minutes. Remove the soup from the heat and use your immersion blender to blend all of the ingredients together until smooth. Season with salt and pepper to your liking and your soup is ready! 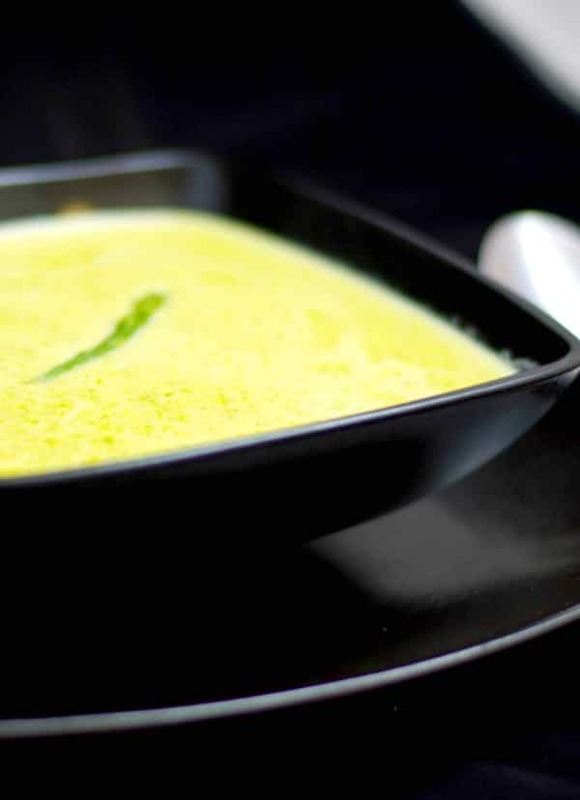 Not only did they like this Cream of Asparagus Soup, they loved it. 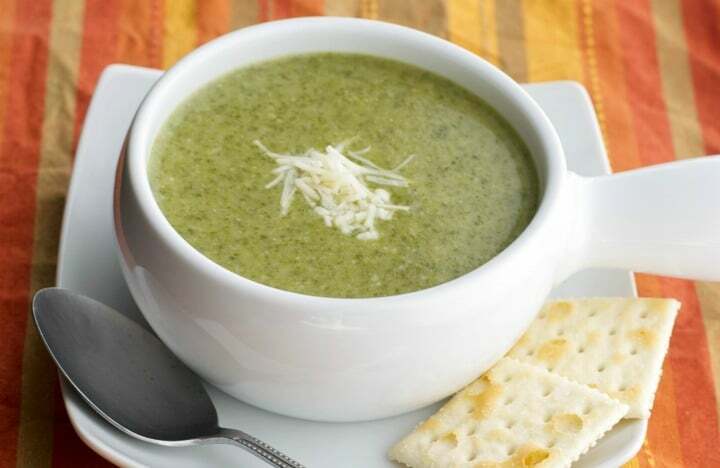 Of course, the soup would go even better with a crusty loaf of Italian bread or a side salad. ~Enjoy! Melt the butter in a medium saucepan over medium-high heat; then add flour to form a roux. Next, add your asparagus, vegetable broth and milk. Bring the mixture to a boil; then reduce the heat and allow to simmer for 15-20 minutes. Remove the soup from the heat and use your immersion blender to blend all of the ingredients together until smooth. Season with salt and pepper to your liking. * If your asparagus isn't cooked already, steam it over a double boiler for about 3-5 minutes or until the vegetable turns bright green; then chop it into small pieces. I am in a soup frenzy! Last night was Mexican meatball and tonight was sage and butternut squash. My first evah 5k was in June this year and it was the susan g komen race!! Yum, I just love soup and congratulations on your first race! great recipe. found your flaunted food and followed it here!